Karting is a thrilling and rewarding sport. It appeals to those with various personal objectives and whether you are looking to drive fast and have a good time or view karting as the first step in a racing career, the Calgary Kart Racing Club has a place for you. 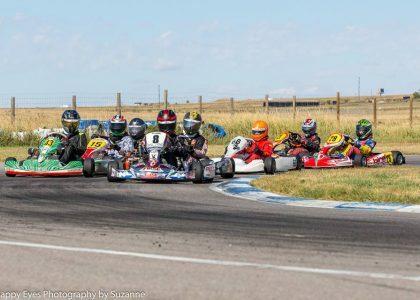 The Calgary Kart Racing Club is the only organization in Southern Alberta which promotes and organizes kart racing at its own track, North Star Raceway at Strathmore Motorsports Park. The CKRC is dedicated to introducing new participants to the sport, and operates under rigid safety and technical guidelines mandated by the governing body ASN Canada FIA. You feel the need for speed, how do you go about it ? The CKRC hosts a very successful Try a Kart program. For a nominal fee, anyone 5 or older can try a full-on race kart - with all the safety equipment, instruction and coaching provided. We use the same grade of equipment as we race on the weekend. Classes are determined by driver age, weight, and engine type. Racing starts at age 8 and ends when you retire, the CKRC has at least 2 driving members 70+. Karts and their drivers must meet a minimum weight for each class, ensuring a level playing field for all. Except for the elite Shifter class, CKRC classes use either the Rotax MAX (2-stroke) or the Briggs & Stratton LO206 (4-stroke) engines. Both these types of engines are built to provide almost identical power from one to another, placing emphasis on driver ability and not driver wealth. The club has a very simple membership structure. Karters 5-7 have a Kid Kart membership and those 8 and older have a Racing Membership. Parents of Junior racers are also members. Families receive a discounted rate for the 3rd or more family member with a racing membership. A Refundable Volunteer Fee (post-dated cheque) encourages volunteering for club activities and improvements. Members have unlimited access to North Star Raceway for practice during operating hours. Top level performance of the non-gearbox classes. Impressive 2-stroke power, 30 hp unrestricted. Dealer sealed engines to encourage level playing field. Click the picture to go to the Rotax MAX website. Hand-built in Milwaukee, WI. using tooling and dies specifically for racing for unparalleled repeat-ability. 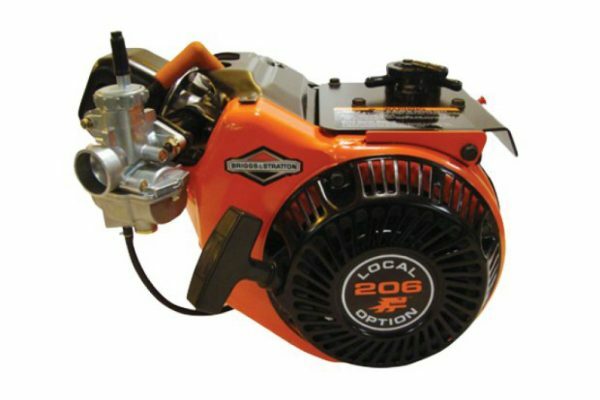 Simple 4-stroke reliability. Factory sealed short-block with ground cam and controlled piston pop-up (reducing compression variance). With a simple change to the carburetor (less than 5 minutes) the same engine can be used in Cadet, Junior, or Senior classes. Click the picture to go to the Briggs Racing website. Full sized kart, kart & driver 340 lb. Full sized kart, kart & driver 375 lb. The most elite of the classes. 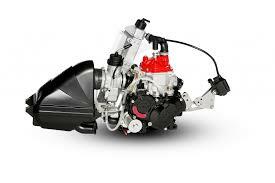 2-stroke engines from 40 hp to 55 hp. Standing starts (just like F1). The club hosts Test & Tune evenings every Tuesday & Thursday evening with a dedicated marshal. Many people never race but put in hundreds of laps this way. This is included with the club membership. Non-members that have access to a kart can attend for a $50 drop in fee.